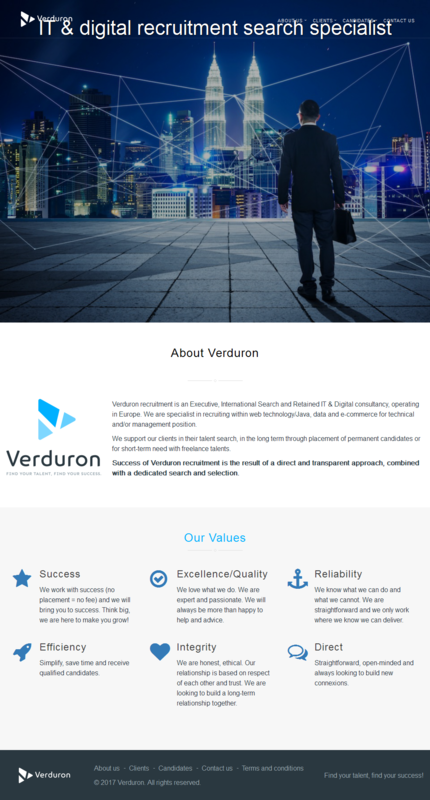 Verduron recruitment is an Executive, International Search and Retained IT & Digital consultancy, operating in Europe. We are specialist in recruiting within web technology/Java, data and e-commerce for technical and/or management position. We support our clients in their talent search, in the long term through placement of permanent candidates or for short-term need with freelance talents.